Born to an Arab tribe that lived on the borders of the Zoroastrian Persian Empire, west of the River Euphrates in 640 CE (19 AH), Musa bin Nusayr, a black Arab, grew up during the glorious reign of Hazrat Umar Al-Farouk r.a. His father, Nusayr, was a revert who lived near Medina in Hejaz after embracing Islam and so young Musa bin Nusayr spent his childhood in Medina learning from the immediate disciples of the Messenger of Allah. Nusayr, Musa’s father, was later chosen for a headguard and he took the youthful Musa with him exposing him to his first real military training and experience. During Muslim led the second naval campaign against the Romans and the 15- year-old Musa is likely to have learned a lot by observing the make up and preparation of the naval expedition in what was then a new type of warfare for the Muslims. At some point in his career, Musa would employ what he learned for his own naval expeditions. When he was old enough to go himself, he participated with utmost distinction and valour on seaborne battles when the Roman navy attacked the newly liberated lands on the eastern shores of the Mediterranean Sea. Musa’s closeness to Mu’awiya however, ended after his father, Nusayr, who was a protégé and leading soldier of Mu’awiya, drew the line when it came to supporting his mentor against the Ameer-ul-Mumineen, Hazrat Ali a.s, in the battle between them. This single act may have left a permanent mark on Musa showing how important it is to fight when it is right and whom not to obey if it means shedding innocent blood in the process. Indeed Musa was only twenty-one years old when Hazrat Ali a.s got shahdat and the Age of the Righteous Caliphs came to a sudden and abrupt end after Signing Treaty by 5th Calipha Imam Hasan a.s to treacherous power monger Mu’awiyah so that Muslim ummah not divided and People must see the true colour of Mu’awiyah. Musa spent most of his youth growing up during the Caliphate of Mu’awiyah. 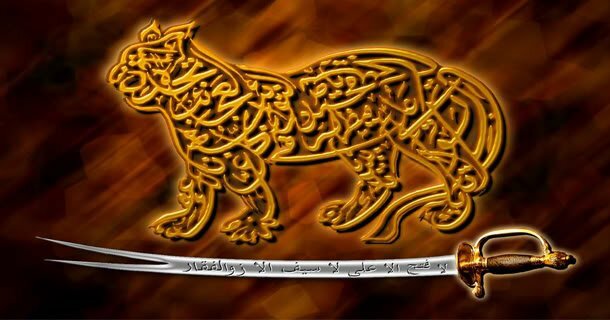 By the time Mu’awiyah passed away after a long and successful reign of twenty years, Musa was already forty years old. During the reign of Marwan Ibn Al-Hakam, which started in 684 (65 AH), Musa bin Nusayr then forty-four years old, was a trusted friend of the Caliph’s son, AbdulAziz Ibn Marwan. The Caliph’s son appointed Musa bin Nusayr as chief advisor when he was himself made Governor of Egypt. Musa ibn Nusayr’s support and assistance was called for in Iraq where he spent some time helping another of the Caliph’s sons. Musa bin Nusayr later returned to Egypt in 695 CE (75 AH). At the time a huge portion of land had already been liberated from Roman control years earlier by Uqba Ibn Nafi, a man who had made swift sweeps against his adversaries and built the fortress of Kairawan in Tunisia for that purpose. However, more work was needed to bring full and complete stability to the region especially since pockets of Roman resistance and their supporters still remained along the coastal area from where the Muslim armies and their settlements were constantly attacked. 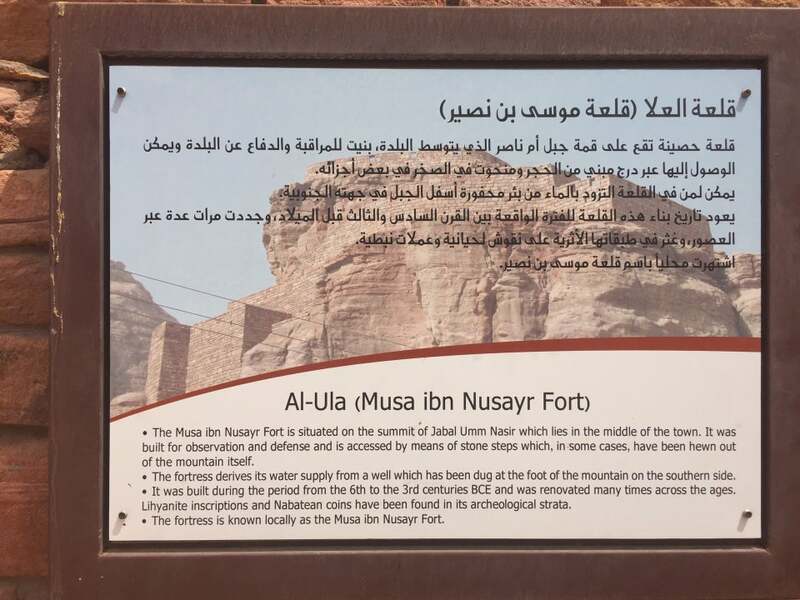 The choice to lead the expedition was none other than Musa Ibn Nusayr. African Berbers mostly inhabited the region and had been accustomed to a different pattern of political and administrative life. Musa Ibn Nusayr was selected as Governor of Kairawan in Tunisia in 705 CE (85 AH). In the same year, Musa invaded Sicily and won an outstanding victory capturing large amounts of booty. Although the island remained in Christian hands, the objective was just to punish the Christians and not to annex the island outright. In 708 CE, Musa as the newly-appointed Governor of Africa was sent to quell the Berber revolt, a series of rebellions orchestrated by the change in office. In a series of brilliant operations, Musa suppressed the revolts and set about promoting Da’wah among them with the result many people embraced Islam. 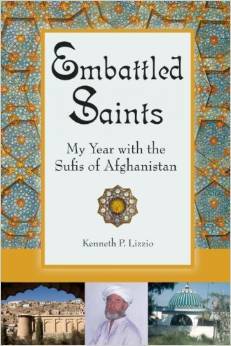 The Byzantine Empire’s assault on the coastlines of North Africa provided Musa his next major assignment. As the Byzantines had raided the shores of Muslim territories from their Mediterranean bases on small islands close to northern Africa, Musa set out to cut off their supply routes. Naval expeditions had been in operation since the reign of Uthman (ruled 644-656 CE), a century earlier and had expanded over time to more daring, larger and longer voyages. In the early years, the Muslim navy was not employed to conquer territory, only to engage enemies in seaborne battles and defend lands under Muslim control. Musa’s plan may not at first have been to annex Byzantine entirely, but through the course of operations, the Muslims under his guidance captured the islands of Majorca, Minorca and Ivica. The Mediterranean thus became a Muslim lake. It was also whilst as Governor of Africa, Musa purchased a slave, Tariq Bin Ziyad, the pair did not know then how history would be shaped by both. In later years, Tariq would be set free and assume the governorship of Tangiers and commander of the Moroccan army, positions of authority like his mentor in North Africa. Across the northern coast of West Africa lay the a huge stretch of water separating the citadel of Christianity in Europe on one side and Islam on the other. During the early years of the Seventh Century, the two sides had spasmodic engagements with the other with varying fortunes. Spain, the nearest country to the African continent, was ruled by the Visgothic elite from Germany since the Sixth Century. Their period of rule had just entered their 200th year and although they were nominally Christian like their subjects, the Gothic monarchical system, administration of justice and responsibility of imparting fairness and equality was something else. It was during such prevailing circumstances, King Witiza, a Gothic monarch, had just passed away. Roderick (Larziq), a member of King Witiza’s entourage quickly usurped the throne. As per custom, the daughters of rich personages, members of the Spanish elite, lords, dukes, nobility and others were required to be sent to learn manners, grow up with ladylike qualities, behave and develop womanly maturity. Roderick however, did not respect the customary responsibilities endowed to men of his rank. He was instead wonderstruck and captivated by the beauty, appearance and physical traits of the women in his care. Count Julian, a senior high ranking official in the Spanish court and commander of the garrison of Ceuta, (the only fort in North Africa outside of Muslim control) was a valuable and trusted minister in the old government of King Witiza and was among those who had sent his young virgin daughter, Florenda, to be educated in Roderick’s castle. Count Julian himself was married to the daughter of King Witiza and had been shocked and horrified when the former administration was replaced by Roderick, whom he felt was unworthy of such office as he had known of him during his late father in law’s reign, but kept his opinions largely to himself. Unfortunately, for Count Julian, the new king, a septuagenarian himself, was more interested in Florenda’s looks than her education and future training. Entranced by her glamour and youthful beauty, he had her locked up in his castle for his own pleasure and personal satisfaction. She somehow managed to send a letter of distress to her parents and Count Julian, her father, was furious. However, to not show his private repugnance of the new monarch and alienate those around him, he shrewdly continued to show an illusory image of happiness and contentment in Roderick’s presence, but meanwhile contrived of a means to overthrow him. The question was how and who could actually achieve it. The answer, Count Julian knew, was across the sea; the Muslims in North Africa where in addition to peace and prosperity, there was also honour, justice, peace, tranquillity, equality and friendliness among all communities. Count Julian had even fought against them in the past and quite recently, had lost the City of Tangiers in Morocco to one Musa Ibn Nusayr, a man he respected and admired, despite their religious differences. At first, a small delegation arrived in Morocco and afterwards briefed Musa. Musa made enquiries over the Iberian Peninsula and after careful analysis of the situation in question sent a message to the Caliph in Damascus, Waleed Ibn AbdulAziz, for his reply to the request. Waleed later gave his consent to the plan, although by then the first expedition had already returned safely to Morocco. A fleet on a reconnaissance mission of five hundred men under Admiral Tareef had earlier reached the shores of Spain with a view to send back details of the country and survey the territory. After a few skirmishes and brief stay the fleet returned with the required information. Musa Ibn Nusayr now intended to take responsibility himself and with this mind, appointed Tariq Ibn Ziyad, his former slave and now a Governor himself to head the next expedition. Tariq set off with seven thousand men in four boats. Although this expedition would make his name, he had already become a veteran of several battles and was a seasoned and experienced commander. Count Julian had by now left Spain and was in the royal court of the Muslims in North Africa. Roderick had earlier sent him to Africa to bring back some hawks and Count Julian had gladly complied, the hawks Roderick meant were wild birds, the hawks Count Julian brought back were Muslim liberating armies. Count Julian agreed to take the Muslim armies in his own ships to Spain, to not alarm his Christian watch guards and to show loyalty to the Muslim cause. In this way, the Muslim fleet made their landing without difficulty. Tariq’s ships landed in Lines Rock but what later came to be known as Jabal Tariq (Gibraltar), even to this day. Once on the mainland, Tariq observed the land and its surroundings. He was certain of himself and possessed great confidence in his mission. The Muslims encamped near the beaches and rested there for the evening. During the same night, Tariq had a dream, the Prophet Muhammad appeared to him and gave him the glad tidings of victory. Filled with renewed vigour the following morning, Tariq issued a strange order to his men. All the boats and ships that had brought them there were to be burnt and set alight. There standing on the plains of the Spanish peninsula, he made a passionate and legendary speech to his men. After concluding his sermon, the Muslims themselves felt the vacuum of fear that had engulfed them disappear and now filled with courage and determination, a determination to win decisively. Within a short span of time, the Muslims were ready for their first battle. They numbered only twelve thousand men and a much larger approaching army was soon to engage them in the open. The resulting battle has gone down in history as one of the most resounding victories ever (both for Islam and in general). Tadmir, The defeated commander, soon requested Roderick to appear in person, a request that was not turned down. Tariq continued to march across Spain and annexing territory after territory until he reached Lorca Valley. Meanwhile Roderick assembled a colossal army that eventually reached one hundred thousand men at arms. The enormous Spanish army included King Roderick himself, the former monarch King Witiza’s sons, his ablest generals, the best soldiers, the most experienced commanders and a sizeable number of bishops and other religious figures to inspire them. In addition to professional soldiers, royal officials, security personnel and volunteers comprised the rest of the force. Among the more famous men of rank of future times was none other than Pelayo, a son of an aristocrat and trusted member of the King’s guard until then and the first rebel monarch of Christian Spain after successful subjugation seven years later. The two armies met near Janda Lagoon adjoining Sidonia on 28th Ramadan 92 AH (711 CE). Tariq’s men now numbered twelve thousand as Musa had since sent another five thousand troops to assist Tariq. Whilst the Muslim army were largely comprised of foot soldiers the Spanish army were fully armed with cavalry and horsemen. Screams of Allahu Akbar filled the air as the two forces clashed for an entire week. At first all that could be seen were soldiers from both sides attempting to assert early authority and establish the first signs of victory. A large number of Roderick’s finest commanders, princes, bishops and other soldiers lay dead and spread across the empty plains after the battle, it had been nothing short of a complete rout. Roderick himself was never to be seen again. He had disappeared at some point during the battle, assumed killed. Victory was attained on 5th Shawwal 92 AH, 711 CE. Tariq sent the glad tidings to Musa who similarly informed the Caliph in Damascus. Musa then left his seat in Qairwan for Spain to join Tariq. Musa planned to march alongside Tariq in subjugating Spain and for this purpose had brought eighteen thousand soldiers with him. Musa requested Tariq to temporarily halt his victorious advance until he himself arrived. Tariq had great respect for his mentor, but couldn’t agree with his decision. After consulting Count Julian, his generals and his men Tariq continued his conquests. Some of the larger cities still held out and had yet to be fully absorbed. A lapse in the campaign could give sufficient time for the Christians to regroup, unite with more men at arms across the country and launch greater and heavier assaults on the Muslim forces. Tariq’s forces occupied Toledo, Cordova and its outlying surrounding and now reached northern Spain. It was at this stage Musa Ibn Nusayr appeared in Spain. Although angry with Tariq, the two men agreed to continue the campaigns together. Musa sent Tariq to subdue the northern and north-western regions and he himself would follow behind him as his rearguard and reserve army while AbdulAziz, Musa’s son, would conquer the southern and south-eastern lands. Tadmir reappeared about now and challenged AbdulAziz. The two forces clashed on a variety of occasions and eventually Tadmir was forced to seek the shelter of the hills. Tariq and Musa meanwhile had reached the Pyrenees and crossed into Gaul (now France) occupying the southern regions in the mountainous areas. The two men now planned to conquer the whole of Europe. Tariq would start from one end of Europe and Musa from the other and both generals would meet in Constantinople. All that was needed was the consent of the Caliph in Damascus. By the time the Caliph’s reply returned, Musa had since conquered the province of Galicia and was in good spirits awaiting a positive outcome. The Caliph’s reply was not as was expected. The Caliph disapproved of the plan and further requested Musa to make a personal appearance at his court in Damascus. Unknown to Musa, the Caliph was soon to expire and was on his deathbed when the letter had reached Musa. Musa presented the huge variety of treasures taken from Spain to the Caliph, which included 25 crowns of the old Gothic dynasty, golden utensils, ornaments and other valuable possessions in addition to slaves and slave girls. Caliph Waleed was himself very happy and jubilant on the occasion, despite them not strictly adhering to instructions and acting independently but others around him were not, including his younger brother, Sulayman, who was soon to succeed him. In fact, Sulayman wished to open his reign with Musa’s entrance into Spain with himself as the centre of attention in place of his older brother, Waleed, but Musa had ignored his advice and arrived promptly in Waleed’s court during his lifetime. After Caliph Waleed’s death, Sulayman rebuked Musa after the latter was unable to clear the full account of the total booty that fell to the Muslims in Spain and then confiscated his properties and wealth. Musa was then incarcerated for failure to pay the required two hundred thousand gold coins owed to the State. Musa was however permitted to perform Hajj and did do with the new Caliph. Musa was then a veteran of eighty years and in his entire career had never lost a battle. In recognition of his service, he was allotted some land to settle in Al-Qura Valley and passed away in 97 AH. Musa died naturally while on the Hajj pilgrimage with Sulayman in about the year 715–716. Because of his disgrace, and the misfortunes of his sons, there was a tendency among medieval historians of the Maghreb to attribute his deeds (the conquest of Tangiers and the Sous) to Uqba ibn Nafi. The Moroccan peak Jebel Musa is named for Musa bin Nusayr according to the 14th-century Berber Muslim geographer Ibn Battuta. Al-Bakri in his al-Maslik wa al-Mamalik, mentions that Musa Ibn Nusayr was buried in Zaragoza. Less than 200 years after his death, Musa ibn Nusayr became the subject of fantastic legends. These tales were first recorded in the late 9th or early 10th century by ibn al-Faqih, who wrote that Musa was ordered by the caliph to investigate reports of a strange city called al-Baht. Musa marched from Qayrawan to the deserts of Spain and came upon a city that was surrounded by walls with no entrance. Those who attempted to look over the wall became entranced and jumped, laughing deliriously. Musa then proceeded to a nearby lake, which contained copper jars. When opened, a genie emerged from each one. A more extensive version of the same legend is recorded in “The City of Brass,” a tale of the One Thousand and One Nights, in which Musa encounters many other marvels, such as a palace filled with jewels, whose only human occupant was the embalmed corpse of a beautiful woman, guarded by two robot warriors. Probably the most extensive work to be inspired by the life of Musa is a section of the anonymous Kitāb al-imāma w’as-siyāsa, which contains a lengthy description of his deeds accompanied by many supposed speeches and sayings. Unlike many other authors, such as Ibn Abd al-Hakam, the work is entirely favourable to Musa. Musa bin Nusair was the Muslim governor of the province of North Africa at the time of the Moorish invasion of Hispania. In his younger years he had done much to advance the Moslem cause in Northern Africa by bringing all of Morroco and Tangiers under Moslem control, resisting the Byzantines at sea, and taking control of Cyprus and other Mediterranean Islands. In 710 he was approached by Count Julian, Gothic Governor of an island near the Straight of Gibralter, who was an enemy of Roderic, the Visigoth king. He asked for Moorish aid in what was essentially a Visigoth civil war, and Musa immediately saw the opportunity for adding to his dominion. It was he who directed his general Tariq to invade the country, but he did not anticipate the speed at which the Gothic kingdom would fall, and was bitterly jealous of his general’s success. Soon after the Moorish victory at the battle of Guadalete, Musa led another army into Hispania for the purpose of claiming his share of the credit and spoils. In this effort he was temporarily succesful, and he established his family and retainers in positions of power in the new realm, most notably his son Abdul-Aziz replaced Tariq as governor of the new province. Eventually, however, Musa was called to account for his treachery. Both he and Tariq presented themselves to the Caliph in Damascus, and Musa was rebuked for his treachery. He died in disgrace shortly thereafter.